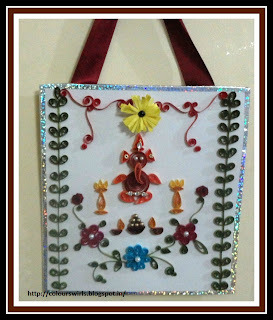 Hope all are doing good, Came back with a quilled wall decor, i was planning to do some wall hangings with quilling. Finally i made my first wall decor and going to present this to my friend. Hope he will like this. 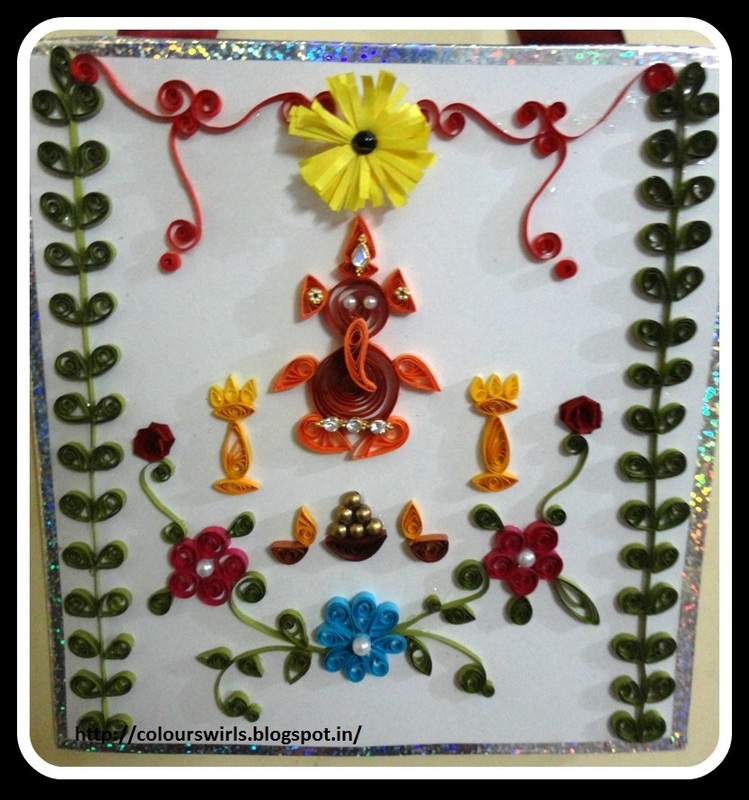 I made a quilled ganesha as a centre of attraction and surrounded with quilled flowers, folded roses and border with quilled leaves. Also i recycled an old paper bag for hanging. Thanks for visiting & your lovely comments. Wonderful. A great collection of different techniques in quillling. Thanks for joining us at Unstampabelles for this months quilling challenge. Wow, I love the way you've used the quilling to make a folkart pattern - so clever! Beautiful. Love the color combo. How clever - lovely colours. Thanks for sharing it with us at Unstampabelles. 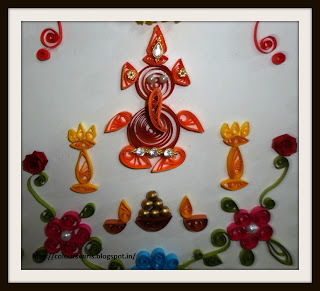 Very lovely quilling and great design. Thank you for sharing your work with all of us at Crafty Boots Challenges. Wow this is super Komala - such intricate detailed quilling - lovely! quilling is so beautiful--love your piece! Oh this is lovely. Thank you for joining us at Challenges 4 Everybody. WOW, so pretty. 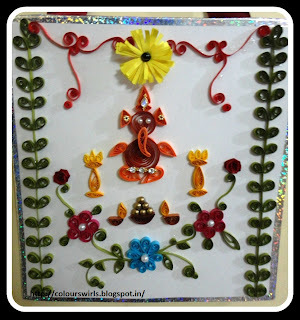 Your quilling looks like it must have days to create. TFS! Thanks so much for playin' along with us for the Shelly's Images Challenge. WOW! your quilling is amazing! Love your project! Found you by your Moxie Fab entry! Pretty lovely creation. I love this. Wow your quilling is amazing! I am sure it took you days to complete, but so worth it! Awww!! That really is pretty.